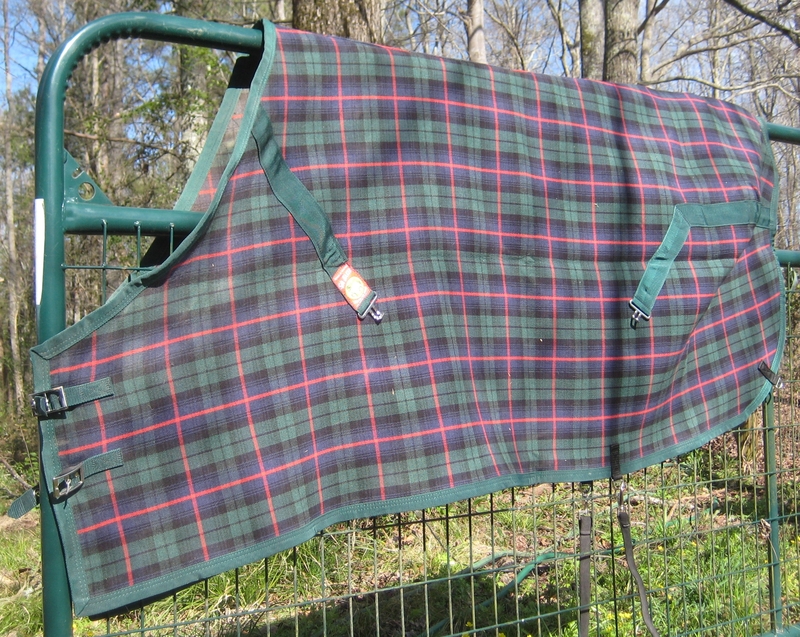 Since she no longer experiences bad weather, Mathilda has a new stable blanket instead of her old turn-out(s). It is deliberately sized small to cut down on the material around her feet as she clambers up. Those Rambo blankets are portable tents. I’d take a picture of her modeling it, but we know how that goes. When I needed a new winter coat this season, did I buy yards of fan$y new plaid in which to drape myself? Ha! I dug Hubby’s old wool coat out of a closet. Seriously, he worn this on our first date in 1986.